Take note to all PolyGram’s fans, the long-awaited PolyGram Forever Live Concert will be hitting Malaysia’s shore come July 2014! 2013 was a happening year for Hong Kong’s music industry, besides being a commemorative year for prominent music figures like Leslie Cheung, Wong Ka Kui, Teresa Teng, it was also the 30th anniversary of the legendary music label, PolyGram. To celebrate this jubilee, mega label PolyGram took the opportunity to gather its superstars for a comeback concert. The star-studded concert line up include (not in appearance order), Daniel Chan, Shirley Kwan, Linda Wong Tat Ming Pair, Albert Au and Karen Tong. These prominent singers are widely recognised across generations and remain as fans’ number one idol till date. This concert promises to bring fans back to the PolyGram era with the golden classic songs and reminisce the good old days. PolyGram Forever Live Concert in Kuala Lumpur will be happening on 26 July 2014, 8pm at Stadium Negara, Kuala Lumpur. PolyGram Forever Live Concert in Kuala Lumpur is proudly brought to you by AMC Live Group. Daniel entered the entertainment industry in 1994 with a cameo appearance in movie <Drunken Fist 3>. His popularity started to rise after singing in a collaborative artiste album <Open Up The Sky> in 1995. 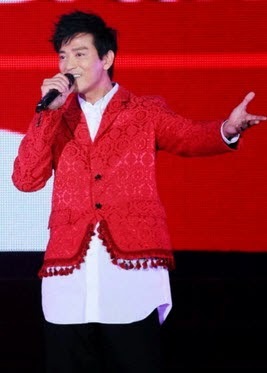 In November, Daniel released his first cantonese album <Fly With Me> and his songs became chart toppers. With his charmastic appearance, Daniel was soon billed one of the promising newcomers in the industry. He released his first Chinese album <The Heart Already Knows> in 1997 which went on to capture the attention of the Taiwanese market. His next few Chinese albums <Close To Heart>, < I’m Clearer Than Anyone> and <Man Like Wind> were equally successful. After which, he left the music industry for a couple of years and shifted his focus to filming in mainland China. Shirley participated in the 1986 New Talent Singing Contest but did not make it to the finals. Two years later, spurred by her friends, Shirley took part in the 5th Marine Blue Singing Contest and won the contest. Label contracts soon followed with APOLLON, a Japanese music label and PolyGram, which released her Chinese albums. In 1990, she won multiple newcomer awards from various award ceremonies. Also, one of her most famous songs <Happy Are Those In Love> was awarded the Best Pop Chinese Song. After her contract ended with PolyGram, Shirley started to fade away from the music industry despite her popularity at that time. In 2005, she decided to make a comeback after 10 years of absence from the music scene. 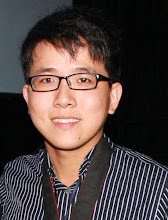 While studying in National Taiwan University, Linda was referred by her mentor Jenny Tseng to join PolyGram. Linda debut in February 1993 with self-titled Cantonese album and her first single <The Day You Are Gone> appeared in several music charts. In May, her Chinese album <Don't Ask Who I Am> was released in Taiwan and became an instant hit. The album recorded a sale figure of 600,000 copies. She swept several awards in 1994 that include Most Potential Female Singer and Most Popular Newcomer Female Singer. By 1998, Linda has released a total 14 albums and 1 EP. In 1985, Tats Lau Yee was looking for a singer and through a third-party, met Anthony Wong. During the meeting both of them clicked instantly. In July, they officially debut as Tat Ming Pair under PolyGram. Within two months, they released their first album <Tat Ming Pair II>. After winning the Most Potential Newcomer award in 1987, they released their second album <Stone Age>. In the following year, they won the prestigious Best Band award and their song <Stone Age> won the Best Lyrics award. To celebrate the 10th Anniversary of Tat Ming Pair in 1996, the duo held 6 sold-out concerts and released a brand new album <Long Live!>. 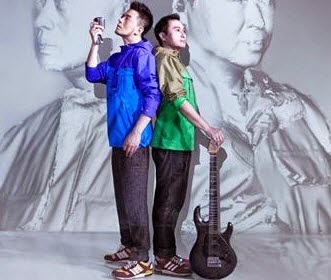 In 2004, the duo reunited again and held <Serve the People!> concert as well as releasing another album titled <Tat Ming Reunion>. Albert is known as the pioneer DJ singer and prince of folk music. In 1971, Albert was placed third for ensemble folk music during the 12th Hong Kong’s Open Singing Competition for Amateur. He was discovered by Mr Wu Xi Hui after hosting the TV Show <Good Times> and hosted the half hour <Tullar Songbook> that introduced folk music in the year of 1977. In the same year, he joined Polydor and distributed an album named <You Got Me Running>. In 1978, his first album was with English songs <This is Albert Au> was published. 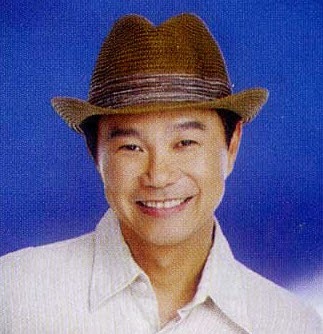 In 1979, Albert Au started recording Cantonese Songs and released his first Cantonese audio album. The first song <Guest from Where> won an award by《RTHK Chinese Song Billboard》. Albert Au’s most popular song < Returned along the fields > won the award of《Top Ten Chinese Gold Song》.Albert is very talented, he has excellent songs that inspired people such as <Love in the sunny air >, <Met in Childhood>, <We meet again that day> and <Gulangyu Island>. In the year of 2006, Albert hosted and introduced Hong Kong views in Asia Tevevision’s Programme <Albert Au Embrace of Nature>, he played the guitar and sang in the TV programme. This year, he wrote <Love you 30 years> is to celebrate his 30 years of entry into the entertainment industry and to show his appreciation to his fans who has supported him all these years. In 1990, Karen joined the 9th TVB International Chinese New Talent Singing Championship and got into the top 10 with the song <Happy Are Those In Love>. Same year, she won the 2nd <CASH Song Writers Quest> with ＜One cappuccino＞. She was then offered to join Polygram and became a popular music singer. Karen sang <Missing Each A Other Amid Wind & Rain> with Jacky Cheung and she has enthusiastic fans. Her album <First Love> was published in November in same year and the song <It Must Be A Dream> went in the billboard. She was awarded the silver award for < Most Promising Newcomer Award > during the 15th Top 10 Chinese Gold Songs Award and <The Most Popular newcomer award> during the <Jade Solid Gold Best Ten Music Awards Presentation 1992>. During the Polygram years, she recorded < In the Polygram era>, <Crying Maria>, <I Have A Date With Fall>, <Fate Of The Sky> and other great productions. In the year of 1998, she released her last album <Will be release soon>, she slowed down in the entertainment industry and return in 2001. She has acted in movies and TV series.